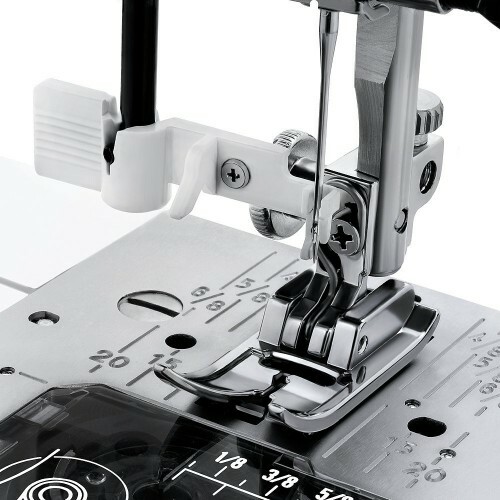 The Janome Jem Gold is Small and Lightwieght and includes many features such as 8 Built-In Stitches, a Top Loading Bobbin System, an Automatic Needle Threader, a 4 Step Buttonhole and more! 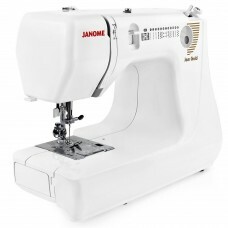 The Janome Jem Gold is an easy to use, lightweight and compact sewing machine. The Janome Jem Gold is the perfect sewing machine for someone just starting to sew or someone looking for a lightweight machine to bring to quilting classes. The Janome Jem Gold has 8 Built-In Stitches including a 4 step buttonhole, utility stitches and stretch stitches. 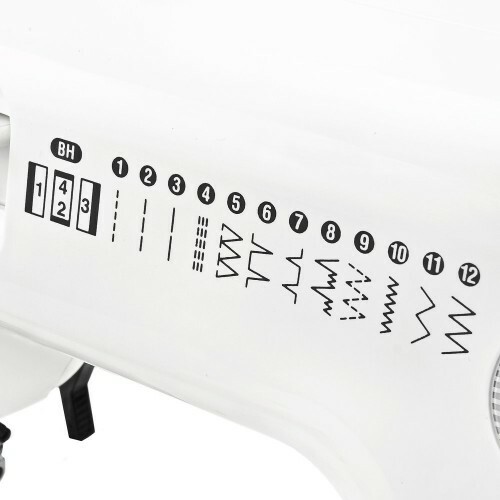 The convenient stitch panel on the front of the Janome Jem Gold shows you all the stitches at a glance. The Janome Jem Gold is a easy to use machine even for the beginner sewer. Just turn the dial to the desired stitch and the Janome Jem Gold will automatically take care of the stitch length and width so you don't have to! 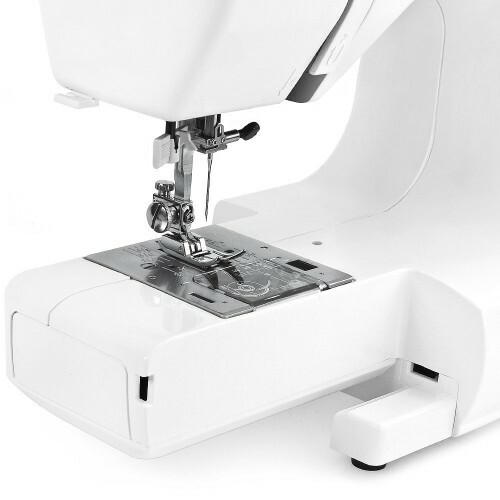 (Stitch Length and Width is Not Adjustable) The Janome Jem Gold has an easy to use reverse lever that is conveniently located at the front of the machine. Great for reinforcing your stitches. 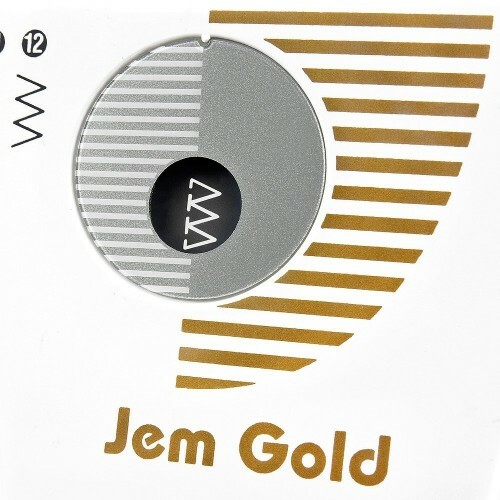 The Jem Gold has convenient measurement marking on the needle plate. The bobbin cover is see through to let you see if you are running out of thread! In addition, if you sew of the edge of the fabric it is jam proof. The Automatic Needle Threader is simple, just pull down the needle threader, put your thread in the hook and in front of the needle, pull back and your needle is threaded! Do pants legs and shirt sleeves with this feature! Just take of the free-arm off by sliding it to the left and your ready to go. Just press the button and the foot falls off, lower the shank onto the foot and the foot snaps on! 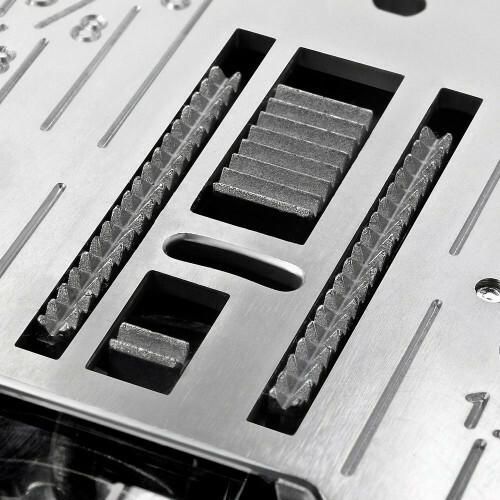 No more screwing and unscrewing feet on and off. The Janome Jem Gold has a storage compartment conveniently located in the free arm. Great for holding your included accessories. Comes Packed With- Bobbins, Extra Needles, a Screwdriver, Seam Ripper, an Overedge Foot, Sliding Buttonhole Foot and more! !